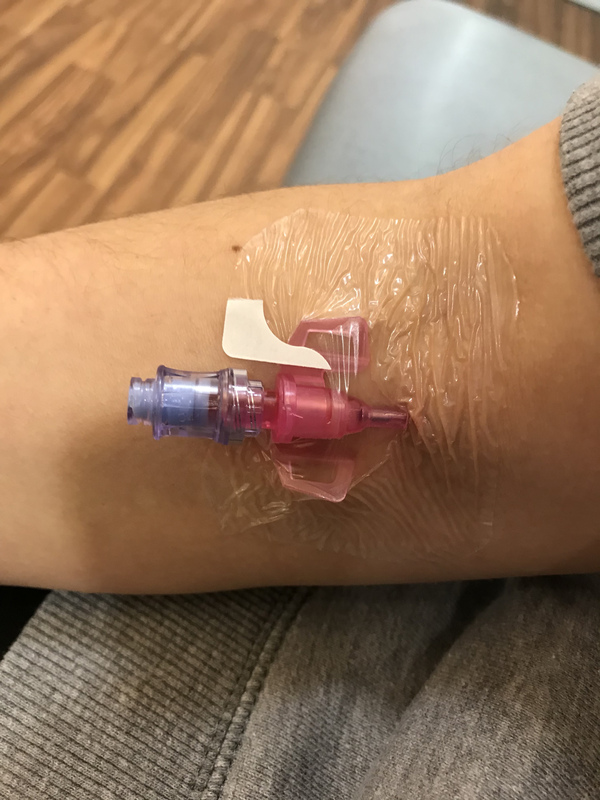 I think I mentioned in a previous blog that I wanted to write up beat, humorous and light hearted type snap shots of life with secondary breast cancer. Sadly and disappointingly at times that is proving rather a challenge, whilst not every day is doom and gloom, and I do swing my legs out of bed a lot of mornings and feel positive, in a seize the day frame of of mind, recently that has started to become a little more hard work. But am I actually portraying reality if I do try and polish it up? because when I do break down and state the obvious with a ‘you know what this week I am not ok!’ sometimes it sends people into a state of panic, probably because I work hard to hide the down times so well, and possibly to the detriment of my own health and state of mind. So this week I am depressed, I am fighting so many side effects of these drugs that I just need to lay down, I can’t face leaving the house, driving the car, an overwhelming need to just sit and stare at the wall, I cant push through the tiredness, dark thoughts consume me, I’m back to planning my funeral music, crazy but that’s mental health isn’t it, when faced with Cancer, its not necessarily the disease that knocks you flat on the floor, its the drugs that mess you up, these drugs that are doing amazing but crazy things. I was diagnosed last summer with Bone Metastasis, after a lot of pain in my chest bones, scans and biopsies. I think the confirmation was like the time I was told the lump in my breast was cancer, you just take it on the chin, no tears, head up and what will be will be, climb back on the hamster wheel of ‘be here on this date/time for this appointment’ and absorb this new lot of information etc. You learn to find massive resolve when faced with procedures that quite frankly scare the hell out of you mentally, you just go with the wave/rollercoaster of having life controlled by medical professionals and a disease, you rely on your mobile phone calendar to tell you when to turn up and where, and now its bleeping constantly reminding me what drugs to take and when. But that stiff upper lip, daily living between hope and denial does catch up with you, I’ve been 100 miles an hour since diagnosis, filling every minute of every day with stuff! and it’s only now I’m having to stop and take ownership of reality, and the emotions that come with the acknowledgement that I have what I have. Last Sunday saw me at Newark General having an MRI scan, courtesy of my orthopaedic surgeon who wanted to see how much cancer was in my femur and spine as the previous PET scan had alluded to, if you have never seen or had an MRI in the mobile scanner unit its like being inside Chitty Chitty Bang Bang’s engine, it is very claustrophobic, even with ear plugs and ear defenders on it really does sound like Chitty… I am claustrophobic and I spent the whole 40 minutes in that machine my head inches away from the inside, you can’t sit up, or make a run for it and I lay clutching the panic switch they put in your hand, ‘I can do this’ going over and over in my mind. I thought about my training plan for the Coast to Coast, working out the days of the week I had to cycle, circuit training, thinking and more thinking until they said all done. Thursday I was back at Newark General, 9am drinking a litre of water in preparation for a CT scan, this scan to see if the drugs are working on the cancer in my sternum, again the new normal raises its head, every 3 months I now have a scan to review the situation, this was my first and it may be reassuring to know I am being monitored so closely, but it also comes with a dollop of fear and anxiety, the nurse struggled to get a vein for the canular to go in, my veins all hardened and tricky from chemo, I was freezing cold which makes it harder for them and once in the machine it decided it didn’t like the little studs on my jeggins, so I had to shuffle them down to my knees whilst half in and out the machine!! never straight forward is it? Thursday afternoon and a drive to Kings Mill Hospital for my monthly Zoladex injection, a talk with the nurses about how I am in tears more often than not, menopausal symptoms that the drugs create whilst shutting down my ovaries, affects it has on the nerve damage in my arm due to removal of lymph nodes, my wound sites ache from the breast cancer surgery which makes it hard to sleep at night due to the discomfort, all normal apparently! great! Out of clinic 14 and straight to clinic 1 for the results of my MRI Scan, the consultant had me standing on one leg, jumping up and down, gentle thumping of my sternum, and still no pain, but I do have small pockets of cancer in both hips and the L4 vertebra of my spine, back in 6 weeks and more monitoring, oh and no jumping out of aeroplanes or off 6 ft walls!! Other than that there is little concern that anything is going to snap anytime soon or be a problem. Friday more blood tests and oncology, up the 4 flights of stairs to Clinic 15 on the top floor, its nearly 5 o’clock and I just want to sleep, fatigue and a warm room and uncomfortable chair leaves me just wanting to go home, you look around the waiting area and we all have that look about us, its a special club, we laugh and joke still, but our eyes say it’s all about the journey behind us and now in front of us, we’ve all had a virtual tough paper round…. My bloods (neutrophils) were 0.5, I needed a 1 for my oncologist to release Cycle 4 of Palbociclib, my wonder drug. My favourite consultant, he has humour and understanding, bloods still too low, he seemed quite excited about the results from the CT scan, my cancer has shrunk and his words ‘I can see you being one of those that succeeds on this’ however with my immune system struggling they are having to consider switching me onto a different drug, one that my body can cope with, however there is a protocol that means he cannot switch after so many Cycles, so whilst they want to try me on a lower dose of the drug I am on, apparently I cant have more than one month without healthy blood results… no pressure, so whilst we have had amazing news, its bittersweet as my body is struggling on the drugs that are working so well! I seriously cannot live any cleaner, I gave up sugar and alcohol to aid my liver in processing the drugs, I exercise, I try and be kind to myself, I listen to my nutritionist and eat so much healthy stuff I should look green in colour, self care, stress-free living as much as possible, but none of it is helping right now, or maybe it is and I would be way worse. Friday night saw us having a take away curry, my husband I thought was fit to break emotionally, and me not far behind him after the draining week we’d had, I had a Guinness, never had one before, and he a beer, crazily after consuming both curry and drink I felt great, best I had felt all week, I didn’t beat myself up for not making it to the 1st of Feb and a completed dry January, my drugs mean I cant drink alcohol whilst on the oral chemotherapy for 21 days a month anyway, and I really don’t need to punish myself, I do that enough as it is. The drugs reduce my brain to what feels like half speed, I cant remember the names of people who have been in my life years, or describe something in a simple sentence, this is so frustrating, It hits me hard at work because I used to pride myself on how quick I could react in situations, now its like walking my brain through mud. I have total respect and empathy for people who have had a stroke, or on drugs for any medical purpose, you just cannot judge anyone who looks vacant at you, sounds slower than normal when talking, has difficulty focusing, just isn’t all there emotionally, side effects come in all formats and all of us react differently. What I am learning now is, you really are the only person that can truly be kind to yourself, that can quieten the inner critic, its ok to detox on social media because its making you feel inadequate right now, ignoring your phone when it rings or texts, to not feel guilty or have to justify why you are just not up to holding a conversation or be in peoples company at times. I don’t do any of the above to be rude or inconsiderate and selfish, I am finding I have to do it now and then to survive, and the people that care totally understand, if they cant then I honestly don’t have the energy to be a version of me that makes them feel ok. I am hoping that all this makes me a better person, a better communicator with honesty, emotion and feelings, to empathise and have more compassion, to not make quick assumptions about others, and most of all to really appreciate we all have stuff going on, we all can be having the worst day of all in our lives, dark thoughts and struggling to see a way forward is very real for so many regardless of the situation. I dearly crave some normality soon, but some dreams I have had to resign myself will never be fulfilled, things I have thrown myself into with plans, plans and more plans may have to be sidelined for another time, expectations in life have had to be lowered, you buy into this terminal/chronic disease with hope that wonder drugs can hopefully gain you years of life, but no one gives you the memo that states the journey will be physically and emotionally hard, will take its toll on both you and your nearest and dearest. But Im determined not to allow all this struggle to rob me or those around me from having some new dreams, or exciting plans that can come to fruition, stepping out my comfort zone and meeting new people with a confidence I never would have had before cancer, with maybe the odd beer and a take away! Wow this brought tears to my eyes but also joy as you’re such an amazing lady…in fact such an amazing family. Julie-ann, thank you for your kind words, it seems Lou has brought tears to a few eyes with this blog!! Thanks Alex… i will let lou know.